If you have your head in the cloud, you might be looking to apply to Salesforce or Oracle. The two companies are leaders in the software as a service (SaaS) space, and they work with companies to increase productivity and meet shifting market demands. Salesforce and Oracle jobs top the list of many job-seekers in the tech space, but many factors go into the decision about where to start or continue a career. If you’re considering where to apply or if you’re faced with a choice between working at Salesforce or Oracle, you’ll want to look at the culture of each company, potential benefits, location, in addition to how much you can expect to be paid. Oracle has 420,000 customers across the world, and over 135,000 employees. 40,000 of those employees are developers and engineers. Oracle is headquartered in Redwood Shores, a waterfront community in Redwood City, California. It’s on the western shore of San Francisco Bay and is also the home of Nintendo, Shutterfly, and Electronic Arts. Other locations include Broomfield, Colorado; Austin, Texas; Nashua, New Hampshire; Cambridge, Massachusetts, and many other cities across the world. Oracle’s core values include integrity, mutual respect, teamwork, and communication. The company seeks employees who will help drive innovation and make a difference in the world. Oracle claims the benefits and perks it offers to employees are “unmatched.” At HQ, you’ll find a full gym, coffee bars, cafes, and an outdoor sand volleyball court. The offices in Burlington and Cambridge, Massachusetts feature certified personal trainers and licensed massage therapists on staff. Other perks include dry cleaning, group legal services, free drinks, car detailing, and oil changes. The company offers a comprehensive medical plan, which includes autism benefits and a nurse concierge. Vision and dental are also covered, and coverage starts from your first day on the job. There is a flexible work schedule and a liberal “take as needed” sick day policy that helps employees maintain a healthy work/life balance. Salesforce was founded in 1999 by a former Oracle executive, along with three software developers. There is reportedly still a rivalry between the two companies. Headquarters are located in San Francisco, where the company is building a new 61-story office tower. Other U.S. locations include Atlanta, Boston, Indianapolis, Chicago, New York, and Seattle. Salesforce claims to have the world’s #1 CRM platform, and it doesn’t shy away from the fact that its service is an expensive one. In fact, the company warns new hires that Salesforce is “usually three times the price offered by the competition.” But according to the company’s sales pitch, basically, you get what you pay for. Salesforce’s “Customer Success Platform” includes products like Sales Cloud, Service Cloud, Marketing Cloud, and Community Cloud, which focuses on engagement. Salesforce invites employees to “blaze new trails” with them. It is “customer centric. Customer focused. Customer obsessed.” But it values its employees deeply, as well. The company is centered around the Hawaiian concept of “Ohana,” which means family. This includes a focus on authenticity, togetherness, and sharing. We encourage each other to challenge the status quo, push outside of our comfort zones, and pursue initiatives that have the potential to advance the way we do business. We work as a team to reach the future faster. – Stay well your way with $100 per month wellness reimbursement for you and your family. – Adoption, surrogacy and fertility benefits plus meal reimbursement for new parents and college counseling for dependents. – If your regular care falls through, we provide 24/7 back-up care for loved ones. – The Employee Assistance Program (mental health and legal counseling) is there for you whenever you need it. – When traveling abroad, you’ll have access to 24-hour emergency travel assistance. Perks at Salesforce include sit-stand and treadmill desks, bottomless gourmet snacks and beverages, ping pong and pool tables, yoga classes, and meditation rooms. The company also allows employees to take up to seven days paid time off for volunteering, and the top 100 volunteers receive $10,000 grants to donate to their favorite nonprofit. The Paysa CompanyRank algorithm measures the quality of technical talent at a company over time, based on our analysis of 7.45 million job changes across 198,000 companies over the past 15+ years. 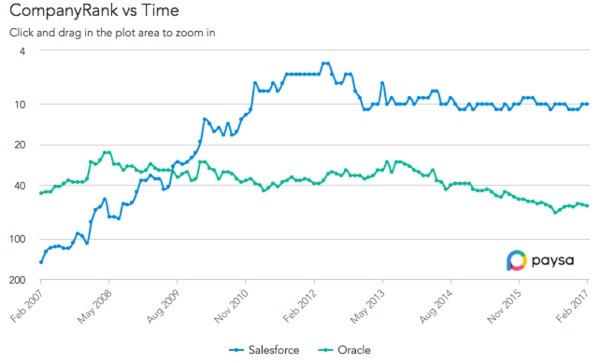 As you can see in the chart below, Salesforce surpassed Oracle in 2009. Salesforce now ranks #10, while Oracle sits at #55. Based on 30,000 profiles, the average market salary for Oracle employees is $152,000 a year. That includes a base salary of $116,000, annual bonus of $16,000, and annual equity of $20,000. 34 percent of applicants must know Java, and 30 percent must also know Oracle. Other top required skills include software development, Unix, SQL, and Linux. Based on 27 profiles, the average market salary for Oracle Data Scientists is $131,000 a year. 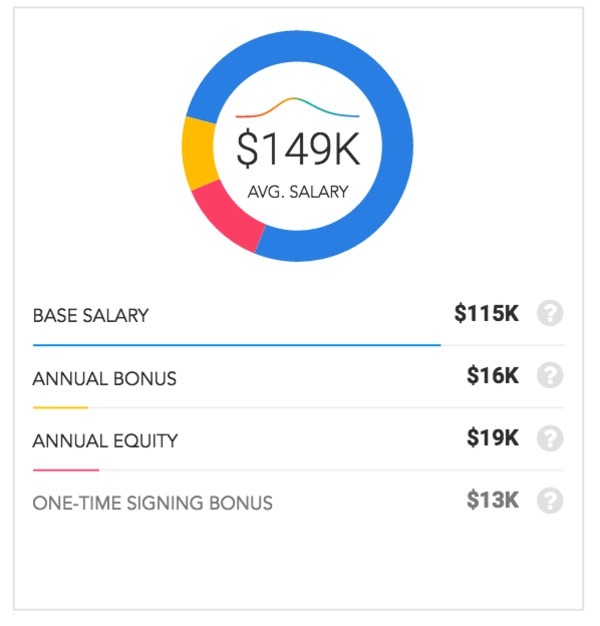 That includes a base salary of $101,000, annual bonus of $14,000, and annual equity of $16,000. 67 percent of applicants must know data analysis, and 62 percent must also know Python. Other top required skills include SQL, R, Microsoft Excel, and statistics. Based on fewer than 20 profiles, the average market salary for Salesforce Data Scientists is $175,000 a year. 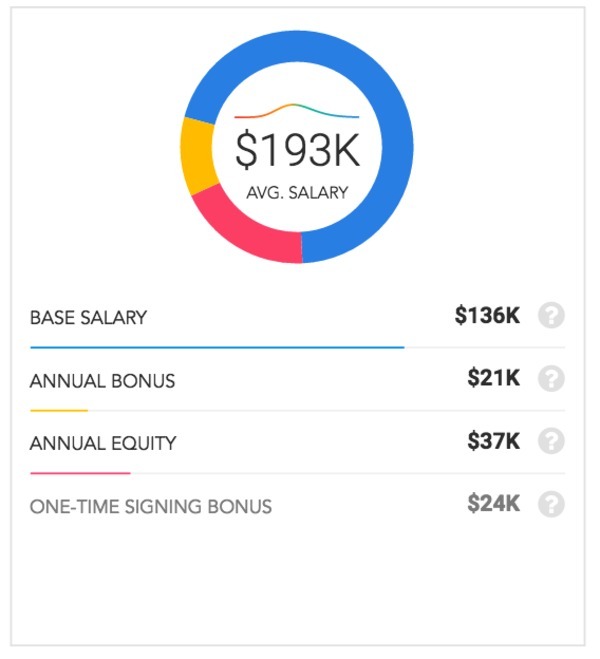 That includes a base salary of $121,000, annual bonus of $19,000, and annual equity of $34,000. 96 percent of applicants must know SQL, and 58 percent must also know R. Other top required skills include data analysis, Python, statistics, and data mining. Based on 117 profiles, the average market salary for Oracle Engineering Managers is $176,000 a year. That includes a base salary of $133,000, annual bonus of $18,000, and annual equity of $25,000. 38 percent of applicants must know cloud computing, and 33 percent must also know Java. Other top required skills include SaaS, Unix, enterprise software, and software development. Based on 414 profiles, the average market salary for Oracle Product Managers is $149,000 a year. That includes a base salary of $115,000, annual bonus of $16,000, and annual equity of $19,000. 39 percent of applicants must know product management, and 32 percent must also know enterprise software. Other top required skills include SaaS, requirements analysis, and cloud computing. 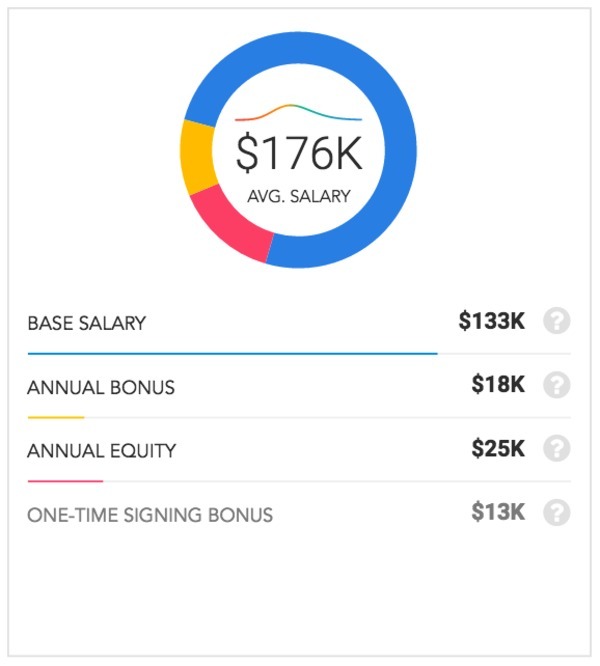 Based on 55 profiles, the average market salary for Salesforce Product Managers is $193,000 a year. 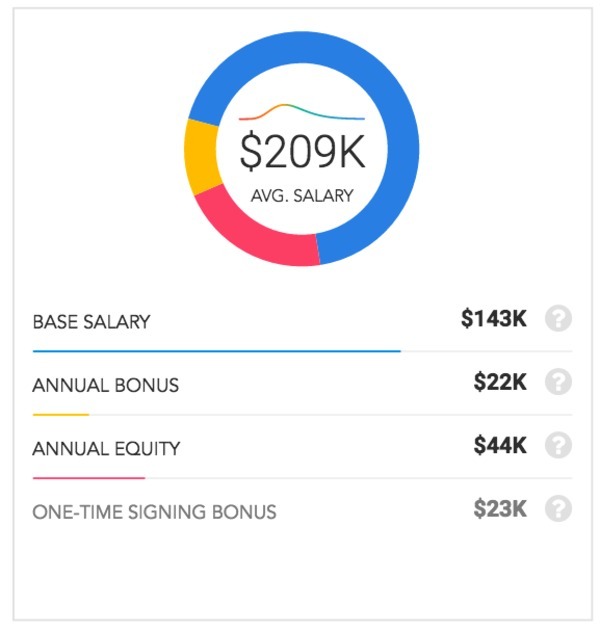 That includes a base salary of $136,000, annual bonus of $21,000, and annual equity of $37,000. 60 percent of applicants must know product management, and 40 percent must also know SaaS. Other top required skills include agile methodologies, analytics, and marketing. As Paysa data shows, Salesforce consistently offers a better salary than Oracle on average across all positions. Both companies look for top skills like Java, SQL, and C++. These are great data points to keep in mind as you’re taking the next step in your career. If you’re looking for a new position or you’d like to see how your current salary stacks up against the averages, Paysa has all the data you need. Paysa can personalize your search to ensure that you make the best career move for you. Sign up for Paysa today so you can get paid exactly what you deserve.